I met with a recently appointed Manager today – he talked about the costs of meetings to his department. He said there can be up to 8 experienced and costly programmers sitting in a 2 hour meeting. He has noticed attendees looking at their watches, as the meeting drags on, dominated by issues interesting to maybe just two people around the table. This time equates to two full product development days every week. Scary eh? If the team can communicate more efficiently in meetings, this will improve productivity and morale. Meetings come out as huge time stealers time and time again in surveys, and it seems the higher up you go, the less time doing and managing and the more time you will spend in meetings. 1. PURPOSE STATED. Objective – to engage attendees. All attendees need to understand the purpose of the meetings. Ensure all discussion relates to the purpose. 2. PLACE. Objective – it must be appropriate. Location, environment, refreshments and layout – these are all important, to avoid distractions and engage all at the meeting. 3. ROLES. Objective – this gives ownership. Appoint a Chair Person and Minute Taker for the meeting. Agree the roles and responsibilities of organisers and participants, in advance of the meeting. 4. AGENDA. Objective – this enables preparation and considered participation. Issue the agenda and supporting documents in advance, and state what the objective for each agenda point is. Identify and distribute to all attendees. 5. TIMINGS. Objective – it keeps everyone on track and focused. 6. REVIEW ACTIONS. 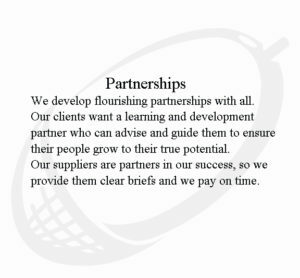 Objective – to ensure previous actions have been dealt with. Make matters arising a quick input – keep the focus on the present meeting. 7. AGENDA ITEMS & ACTION POINTS. Objective – to gain ownership. Assign actions and authority to individuals, and record in the minutes. Allocate time to allow all to raise a relevant matter. 9. REVIEW THE MEETING. Objective – to strive for excellence. One good thing about this meeting? What has been useful about the meeting? One thing we can improve on next time? 10. MINUTES. Objective – turn talk to action. Keep it simple – who will do what by when. Let us know what difference these rules make in your meetings. I find that using a meeting minutes calculator keeps everyone focused. It calculates how much time the meeting has taken in terms of peoples salary costs. Then on reflection if a meeting has 10 senior managers for 2 hours, the cost is £X. Has the meeting provided £X worth of value to the bottom line? That is a really great idea. 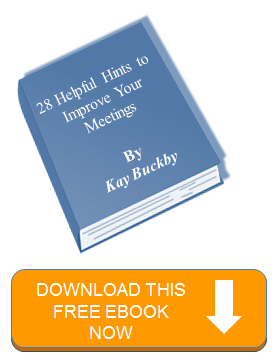 It provides a measurable focus for all the meeting attendees. Thanks Lisa.